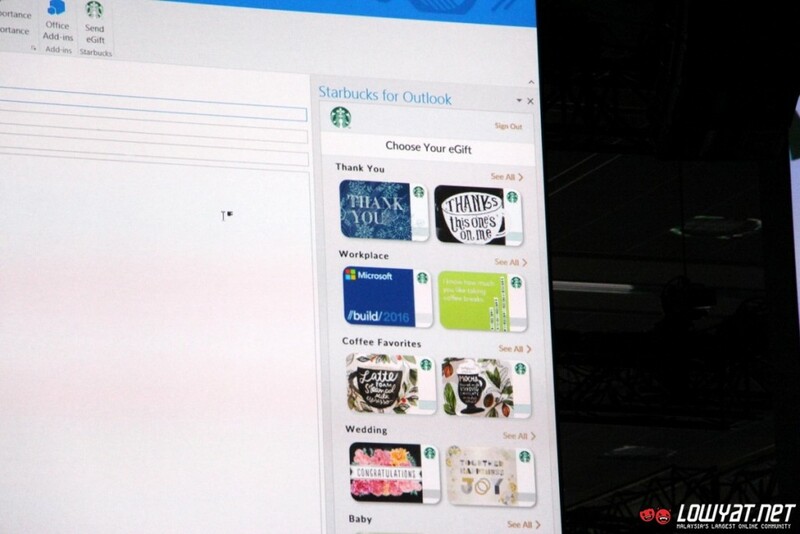 To many, coffee and productivity can’t be separated from each other. 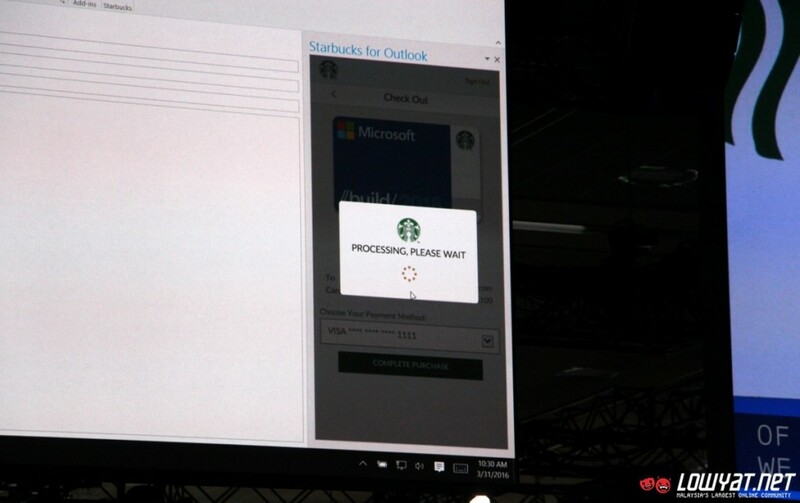 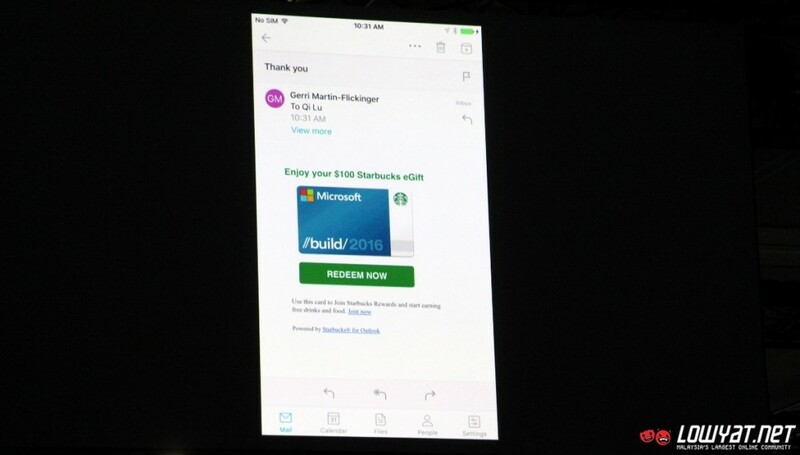 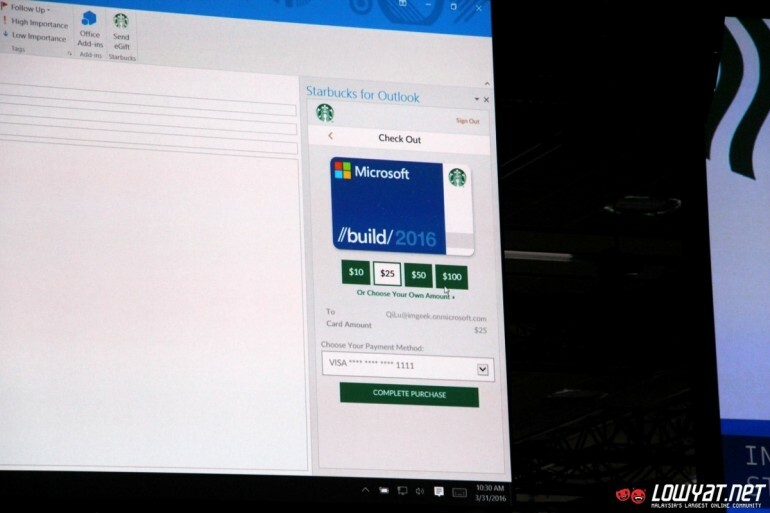 It seems like Microsoft and Starbucks might have the same idea too as both company have just demonstrated Starbucks integration with Office during today’s keynote at Build 2016. 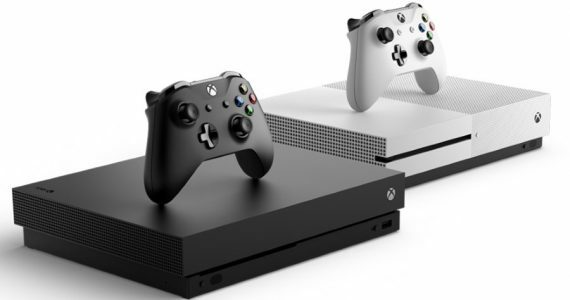 Through the Starbucks add-in for Outlook, users are able to choose and send Starbucks gift cards to their contacts via e-mail through Outlook. 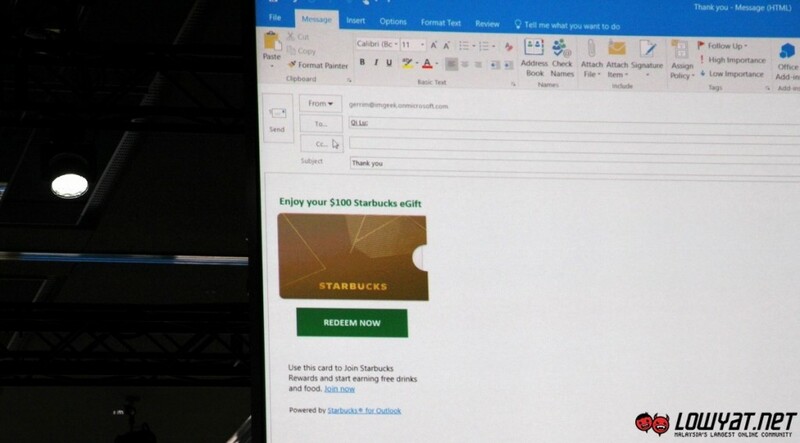 Users don’t even need to get out of their Outlook in order to pay for their Starbucks gift card since it takes place on the side panel of the program. 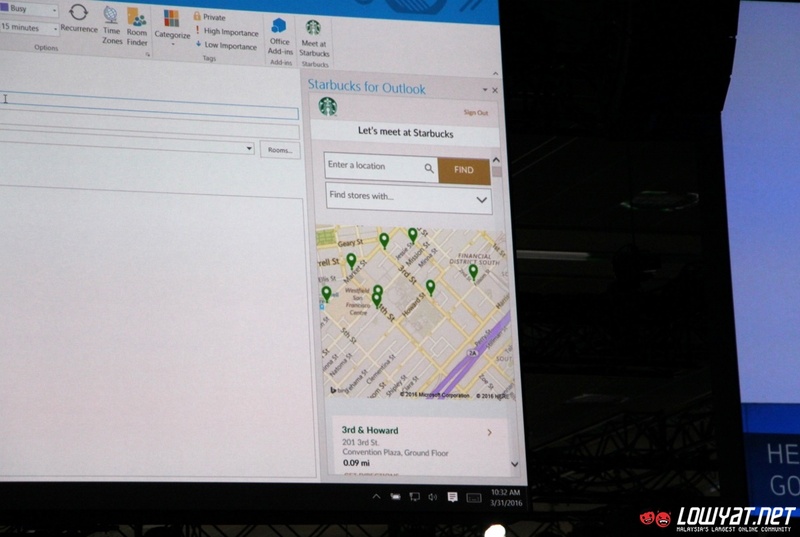 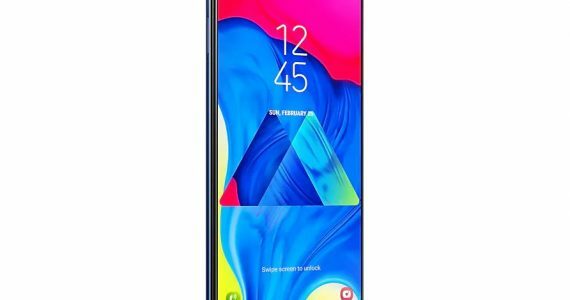 In addition to that, users are also able to search for the nearest Starbucks locations and schedule meetings with their contacts. 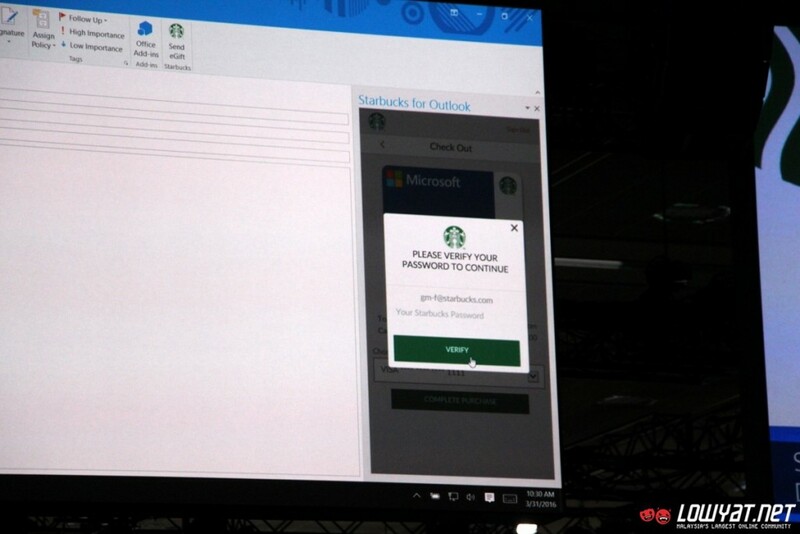 Within the meeting invite, there is a link that will bring them to Starbucks mobile apps (not available for Windows smartphones, ironically,) so that they can place their orders in advance for the meeting. 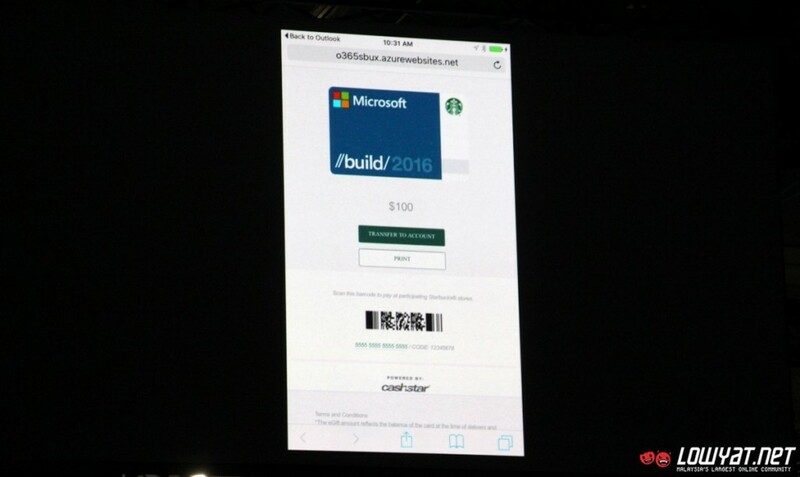 While not shown on stage, Starbucks stated that users will be able to create co-branded Starbucks gift card in the near future too. 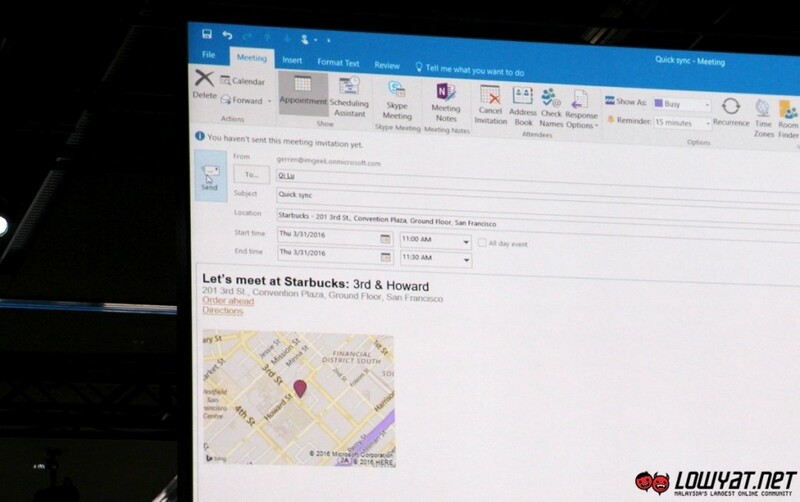 No exact release date was mentioned though and I doubt that it can be used in Malaysia since Starbucks Malaysia ecosystem are not tied to its US counterpart but nevertheless, the demo not only shows how the Office add-ins are able to enhance users experience but also opportunities within Office ecosystem that are available for developers.